Madison Geeks technicians are professionals when it comes to data transfer. We perform data backups and restores to and from working computers or even from failed machines. We have years of experience along with a variety of transfer tools which streamline the process and take the hassle out of moving your files. Often times we have customers come to us panicked because they have a dead PC or Mac that they either need to have repair or retired. They are faced with a big problem of how to get their files off that computer. Our technicians will take the drive out of the computer to transfer any data. They are skilled and also have experience with using logical data recovery procedures if your hard drive is corrupted or damaged. Afterwards you can consult with our technicians and we can get you set up with a solid back up system so you do not need to go through data loss panic again. Everything from your valuable files, mp3 music, pictures, documents, videos & more can be transferred. We can transfer data from an old machine to a new one. We can also either make a copy of the files and and safely store them on a portable device or in the cloud for safe keeping. We can also attempt to recover files from hard drives which have become unresponsive. Common files which are transferred include documents, web browser bookmarks, contacts, call logs, messages, photos, music, videos, notes, apps, eBooks, and much more. 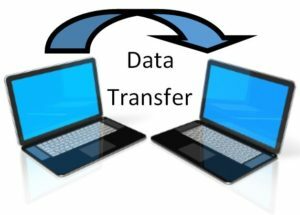 Transfer your significant electronic files onto computer, phone, an external hard drive/devices, or even to the cloud without any quality loss.